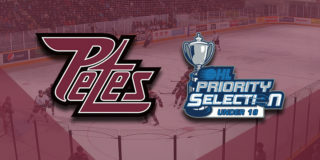 The Petes were itching for a victory when they took on highly regarded Montreal Canadiens prospect Nick Suzuki and the Owen Sound Attack for Special Olympics Night. The Liftlock Lads were successful in their rout of the Attack, claiming the night 4-3 in overtime to secure a win in their first of three games in as many days. The game started off with a ceremonial puck drop featuring Peterborough Special Olympian Crystal Cochrane, Peterborough Police Service Chief Scott Gilbert, and the Honourable Premier Doug Ford. Peterborough struck the first dent in Owen Sound’s Mack Guzda early in the opening period with an Adam Timleck powerplay goal which was assisted by Brady Hinz and Declan Chisholm to give the home team the lead by 1. Nothing made it past either goalie following Timleck’s early goal. 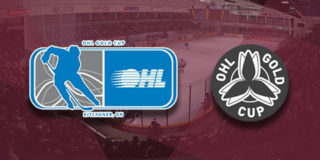 The first 20 minutes would come to an end with Owen Sound in charge of the shots on goal 12-11 while the Petes maintained their single point. Peterborough increased their lead to two as Timleck yet again flew the puck towards Guzda, this time with the assistance of the two Russians in Pavel Gogolev and Semyon Der-Arguchintsev. With 5 minutes left in the middle frame, Timleck struck again to award himself his first career hat trick, this time with help from Gogolev alone as the Petes took the lead by an increased margin of 3-0. While Timleck would get the hat trick without question, Hunter Jones would not come away with a shutout as Griffin Wilson slipped one past him for the Attack with the assistance of Cade Robinson to put Owen Sound on the board 3-1. After 40 minutes the shots on goal would be 22-21 in favour of the Attack. Owen Sound would get back within one goal thanks to a lightning bolt from Kaleb Pearson which was fed to him by the combined efforts of Kevin Hancock and Daylon Groulx to make the score 3-2. With 11 minutes remaining and after a short review, Owen Sound was awarded their third goal which tied the game 3-3 from Maksim Sushko, assisted by Los Angeles Kings prospect Aidan Dudas and defenceman Brady Lyle. The third period would end on a tie, sending the two clubs into overtime to decide the ultimate winner. At the end of 60 minutes the shots would mirror the score, tied 35-35. 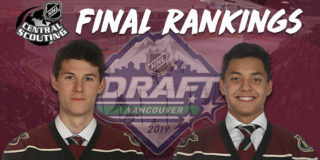 The overtime winner would go to the home team with 3:06 remaining in the extra period as Brady Hinz claimed a rocket from Declan Chisholm and Liam Kirk to mark it 4-3 in favour of the Petes and finally secure his team a victory. Timleck, Lyle, and Gogolev were named the games first, second and third stars, with John Parker Jones named Mark’s Hardest Working Player of the Game. Final shots were 37-35 in favour of the Owen Sound Attack . 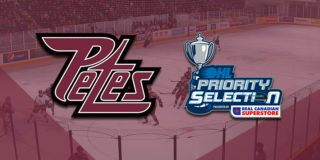 The Petes travel to London on Friday and Sarnia on Saturday before returning to clash with the Frontenacs at the PMC on Thursday, November 22 at 7:05pm. Tickets are available through the Collins Barrow Box Office in person, over the phone at (705) 743-3561, and online. The specialty plaid jerseys worn during November 1’s Plaid Night game are still available for purchase via online auction in support of United Way Peterborough & District. Bidding begins to close at 7:00pm ET on Friday, November 16.